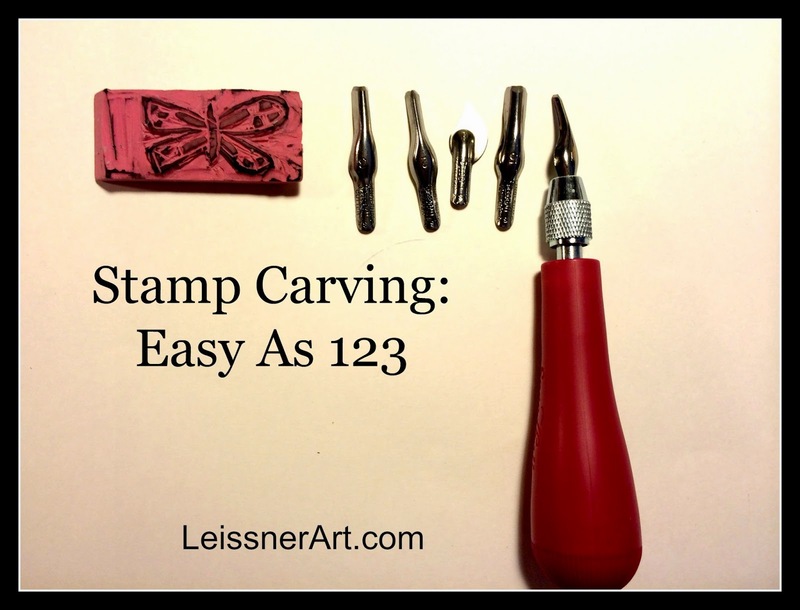 I've followed a few artists who do amazing stamp carving. My favorite is Geninne Zlatkis. Her carvings are detailed and alive and perfect. I've searched at Blick's repeatedly for the materials she said she uses for her carving, and I've had various carving blocks in my cart more than once. But I'm keen to start small when I'm looking at new interests. I have a fear of commitment, I think. 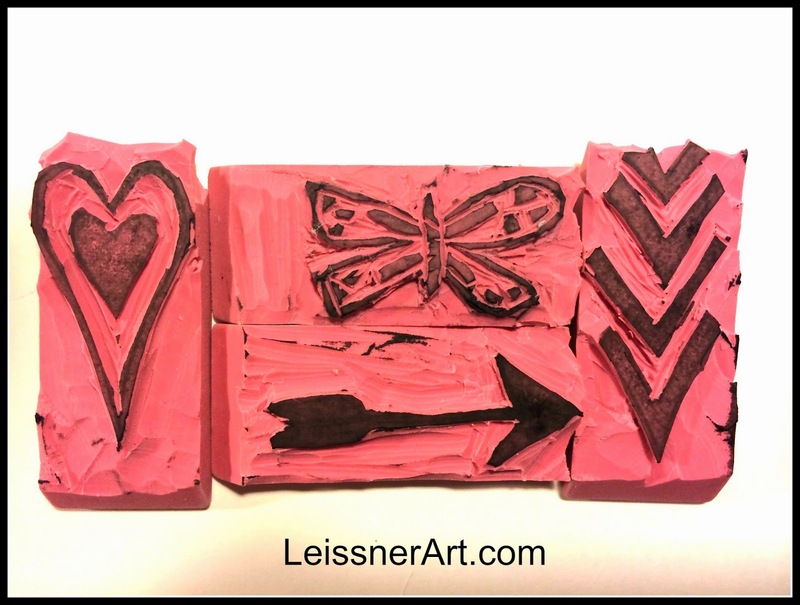 So in the interest of being cheap, I did my first stamp carving on pink school erasers. You can get them in a pack of four or five for close to a buck at any discount store, maybe less if you catch them in a clearance pile after the back-to-school rush. All you need to do this is a pencil, a pink eraser and a Speedball carving tool. They are super cheap, about $8 if I recall correctly, and come with five different carving tools that are conveniently stored in the handle. 1. 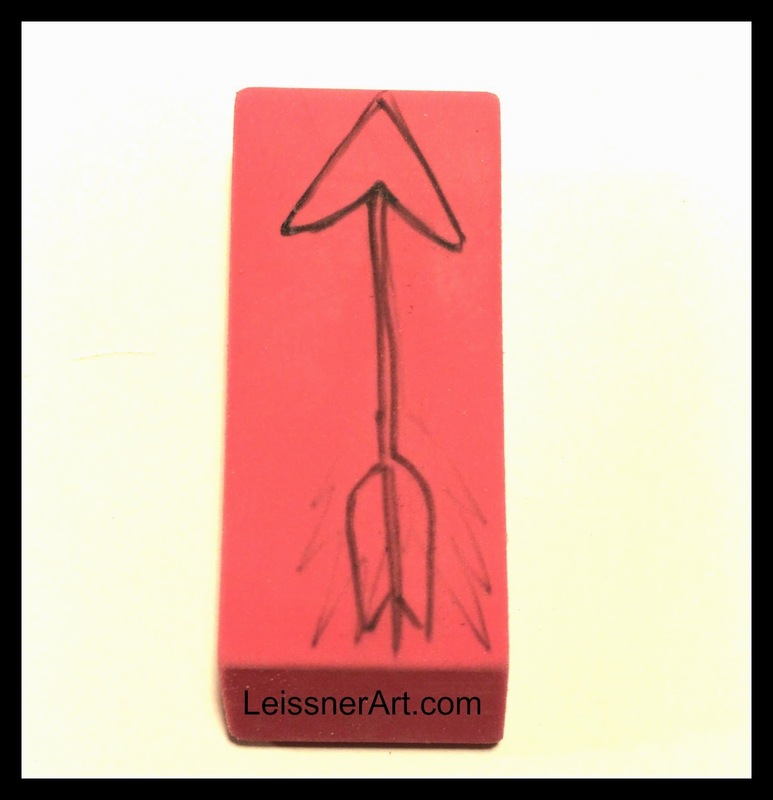 Draw an image on the eraser. My drawings are not perfect like Geninne's, but I kind of like them that way. If you mess up your image, you can, in fact, use an eraser to erase on an eraser....just so you know. One thing to keep in mind, if you're writing words or letters, you need to draw them backwards so they'll print the right way. I did an adorable "Love" stamp that just didn't work as well when all the letters are backwards. 2. Start carving. 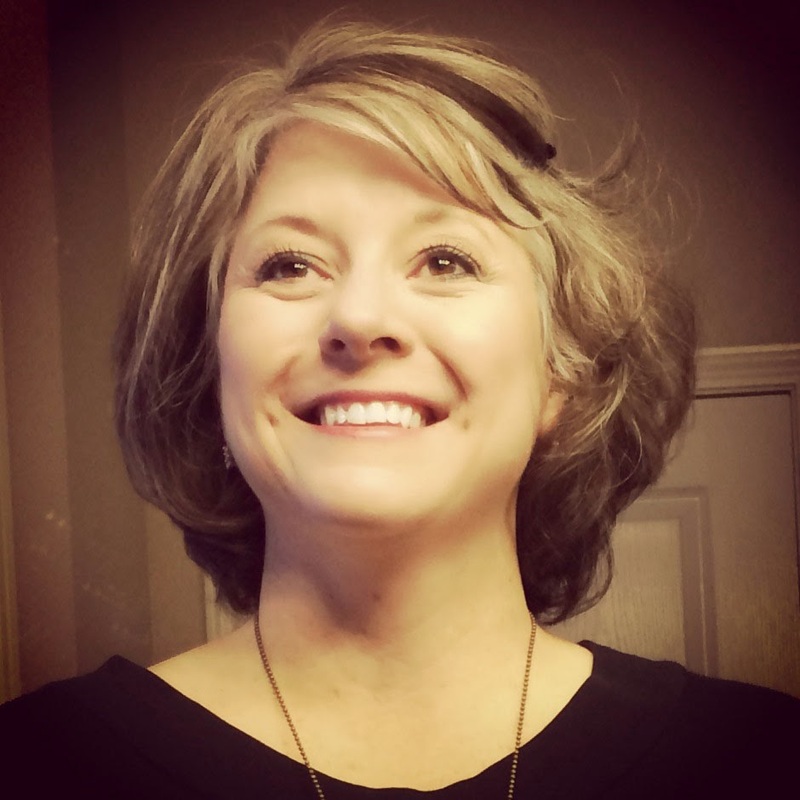 The tool is sharper than you think. You can get really good lines. Watch the curves, though, and don't make them corners. Just keep cutting little strips of eraser off until you get a good clearance so there'll be no ink transfer from areas you don't want to leave a mark. 3. 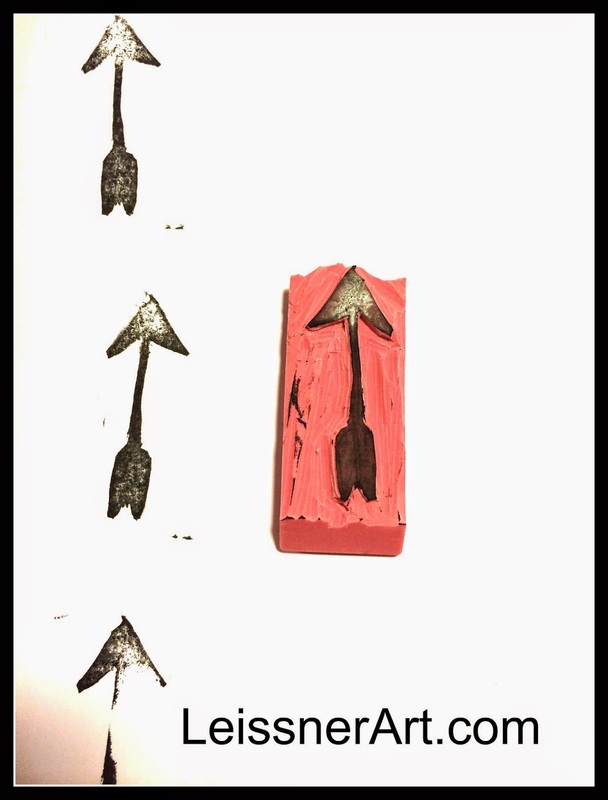 Use your stamp. If you need to trim any areas, trim 'em up. It can be as rough or as smooth as you want. 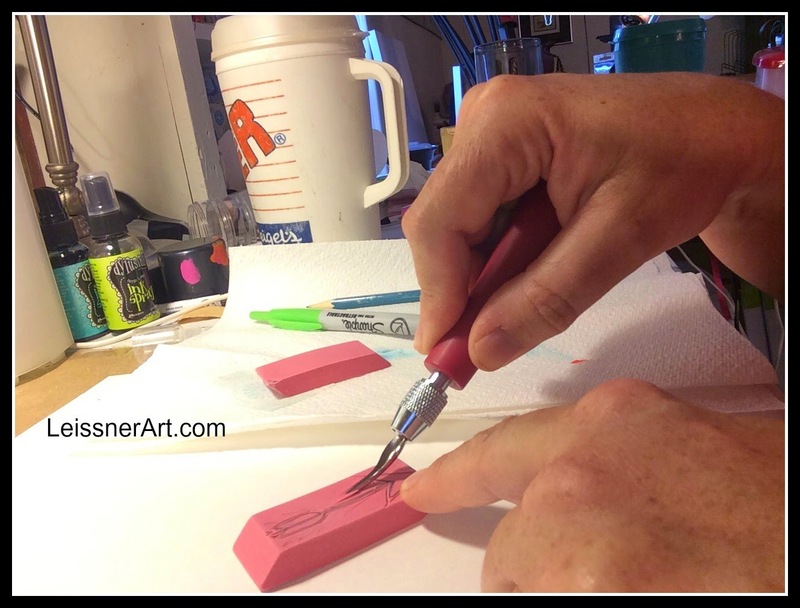 If you carve any pink erasers, I'd love to see them.